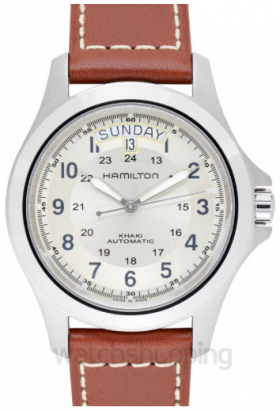 About 80 years ago, Hamilton watches was one of the premier American watch manufacturers. Their roots are incredibly deep in Western culture for a variety of reasons, the most significant being them supplying wristwatches to soldier in World War II. These days, they are based in Switzerland, but the quality and allure of the brand aren’t going anywhere. Add all that to the fact that they sell at relatively affordable prices, and you have one of the best watch brands in the world. I detail some of their best models below. The Khaki King is my personal favorite because it brings so much to the table. First, it has a fantastic look to it. The dial is absolutely gorgeous in all of the colors it comes in, and it complements its strap options perfectly. Going with the black dial and brown leather strap is the most common choice, but there are many more options for people who prefer different looks. Another crucial piece of the puzzle is the day-date complication. Not only is it incredibly useful, but the craftsmanship involved in making it is very impressive. Rounding out the appeal of the Khaki King is its 80-hour power reserve, which makes owning is very convenient. All in all, this watch is a fantastic buy. The Khaki Field is quite a bit like the King, but with a few key differences. The first is the lack of day-date complication. While having the date will be enough for many consumers, others will miss having the day of the week. The second difference is size. Most Khaki Kings come in at about 40mm, while this simpler version is most often 38mm. Overall, this watch is very nice, and you’ll save a bit of money when you choose it over the other options on this list. An added benefit is that you may be able to find it in larger sizes if you prefer. You really can’t do much better when looking for a simple automatic field watch, so you can purchase the Khaki Field with confidence. 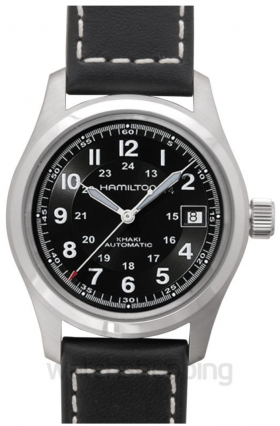 The Hamilton Intra-Matic is a perfect watch for those of you who like the minimalist aesthetic. It has no numbers on it, nor does it have any extraneous information. There is just subtle branding, the word “automatic”, and a date complication. It’s simple black strap further feeds into the vibe that this watch gives off. This piece also has a distinctly vintage look, which comes from its silver dial. Almost every modern watch comes in black, white, or some bright color. 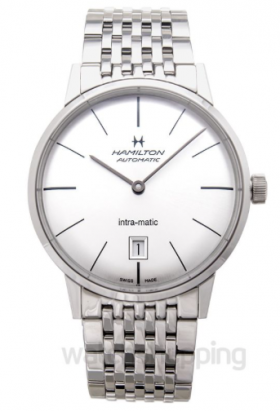 The Intra-Matic matches its dial color to its silver case, which creates a unique aesthetic. Lastly, this piece is incredibly thin, making it an excellent choice for a dress watch. Most watch collectors love knowing that they have a fantastic piece of machinery on their wrist. Others take it even farther, as they want to see that movement go to work. 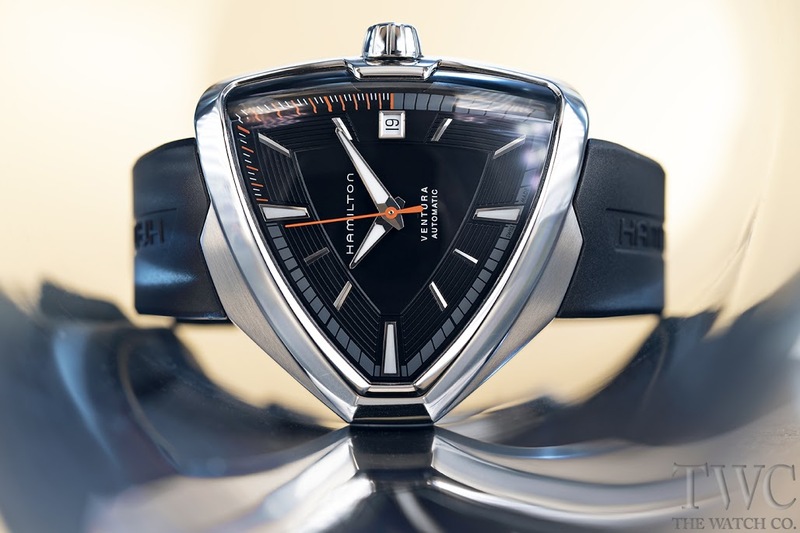 That is precisely what you get when you choose the Jazzmaster open heart, which has a large viewing window on its dial. This isn’t your average skeleton watch, though. Instead, Hamilton watches clearly put a substantial amount of effort into creating an excellent design. Your dial window comes in an odd, but aesthetically pleasing shape, rather than the typical circle that you see on most pieces like it. Additionally, those of you who don’t like Skeleton watches can enjoy the same quality in the more conventional Jazzmaster models. Our last pick is one of the most distinct watches of all time. 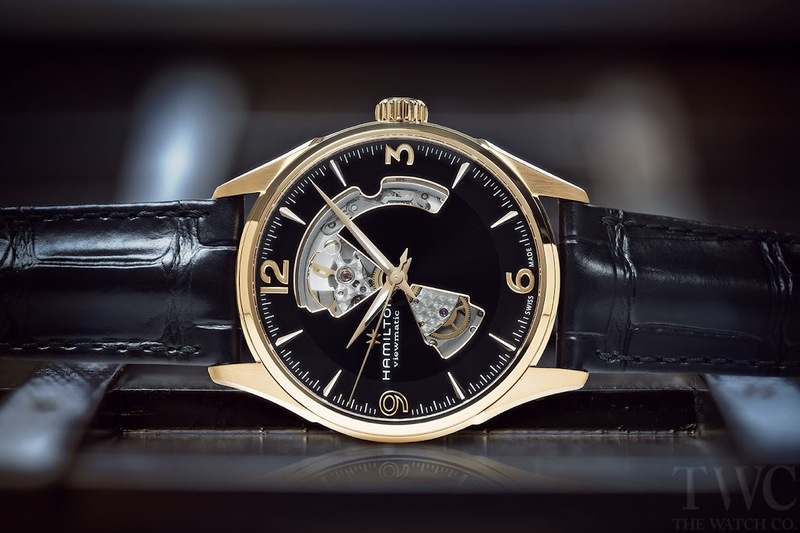 It is the Hamilton Ventura, which is so unique that most timepiece collectors can spot it from a mile away. This is due to its shield-like shape, which is practically a triangle. The result is a piece that is incredibly futuristic looking. One issue collectors have with it is its quartz movement. There isn’t anything wrong with a battery powered watch, but some see this piece as not having much value for your money. That being said, if you love the look of it, it is absolutely worth every penny. Going with your gut is rarely a bad idea, and it definitely isn’t when purchasing a Ventura. Buying a new watch is one of the hardest decision a collector can make. A great way to narrow things down is choosing a brand first, and then going from there. If you decide that Hamilton is the right company for you, then you’ve made an excellent call. The next step is browsing through their catalog and finding out which pieces resonate with you most. 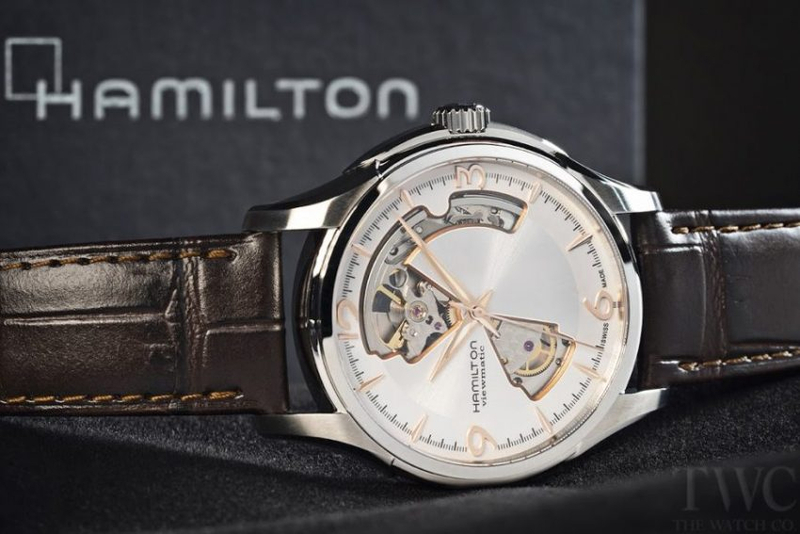 The 5 Hamilton watches on this list are an excellent place to start! I am confident that you’ll fall in love with one after giving them a closer look.